This studio was previously known as "Flywheel" on ClassPass! Flywheel Midtown is located in the Regions Building Midtown. The parking garage entrance to the building is located on Spring Street. You must enter through this Spring Street parking garage to have your parking ticket validated. Once you enter the garage, drive up to Level 5 where you will see the columns painted Flywheel blue. On this level you will see a walkway through the garage towards the Regions building. 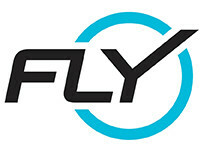 Flywheel is located on the lobby level (Level 1) of the Regions building. Please be sure to check-in to class prior to class time to avoid a no-show fee. This studio has four check-in options: Self check-in via Flywheel app Auto / geo check-in via Flywheel app Self check-in via studio tablet at the studio entrance Check in with Flywheel staff member at the front desk We also encourage you to download the Flywheel app to utilize the auto check-in feature. You can download the most updated version of the Flywheel app and follow the prompts to enable location and Bluetooth. Once complete, you’ll be automatically checked into class as soon as you enter the studio! This is honestly one of the best classes I’ve ever taken. The instructor was amazing and so was the atmosphere!!! 10/10 would recommend! Good workout but I had trouble hearing instructor. The best part of flywheel is their instructors. Alicia never disappoints. High energy, great routine, and even better music. Awesome music and Shantele was great! This class is very fun and really exercise the legs. I will be back. Amazing!! Chris is a great instructor, so encouraging and has awesome music!